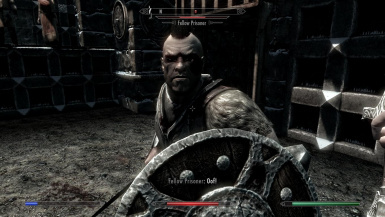 Re-adds Windhelm's cut arena to the game, and attempts to do so without straying from the original intent. 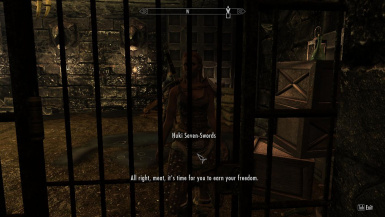 To compete, you need to be arrested in Eastmarch. You complete your sentence by fighting, not by waiting! Modifies various bits of vanilla content. Remember to pay attention to load order, and DO NOT try to load other mods that re-add the Pit into the game. -The doors in and out of the arena will sometimes say they are locked even when you're supposed to use them. Go ahead and use them anyway. -The mod pays off your bounty upon STARTING the competition, not when it ends. This is because otherwise you will be marked as an escaped prisoner. Oh, and this mod requires either a new save or a heavily cleaned save. Otherwise, it won't work!!! !